Avoid scratching as much as possible. 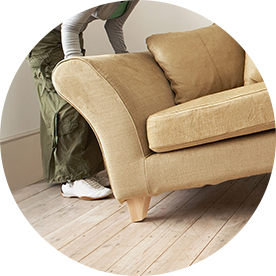 Install felt pads on furniture and chairs that may drag across the floor. Also, avoid walking on hardwood floors with sharp heels or damaged shoes. Always wipe up spills and moisture quickly with a soft cloth. 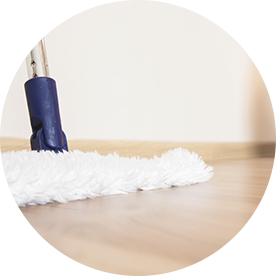 When cleaning, be sure to dry the floors completely to avoid staining, warping, and potential rot. Only clean with soft cloths and hardwood cleaners. Microfiber mops work great for cleaning hardwood floors. Avoid harsh cleaning solutions like citrus or silicone and never use any scouring pads that contain metal. 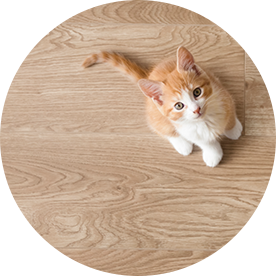 Protect floors from seasonal elements like salt and sand and remove shoes when possible. 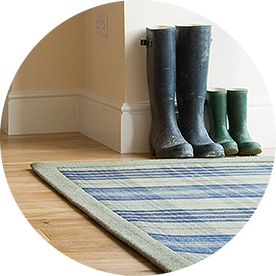 Use floor mats near entryways to collect and absorb water and other potentially damaging elements. Always wipe up mud, snow, and other liquids promptly with a soft cloth.